Cool breezes whispering through forests of pine were what brought Summerville its first visitors. Lowcountry residents found in the towns lofty location a respite from the subtropical heat and disease of the summer. They believed that harmful gases rose up from the low-lying rice fields and swamps along the coast and caused malaria. What they didnt know then was that the mosquitoes were causing the malaria. What they did know, though, was that they felt better in this village among the pines. Those healthy breezes were enjoyed in what were known as "mosquito houses," non-insulated structures designed to allow air to flow freely throughout. They consisted of two rooms on each side of a wide hall, and a fireplace in each room. By 1828, twenty-eight families had built summer cottages, and Summerville was born. It didnt take long for this quaint village retreat to become popular. By 1830 the South Carolina Railroad came through Summerville and a new town plan was laid out with streets parallel and perpendicular to the tracks for easy travel access. The "new town," as it was called, was just east of the original settlement of Old Summerville and Mayor Edward L. Hutchinson became its first mayor. Large tracts of pineland that had been purchased by the railroad to fuel its locomotives were later divided into parcels for residential use, and sold with a covenant to protectnot less than 15 pine trees per parcel. Specifications on size and circumference were included with the purchase. It would be forever and a day before the residents would lose the precious trees that provided their healthful air. 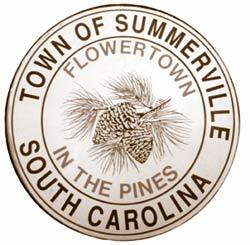 By 1847 the town was incorporated to include both the old and the new settlements and was called the Village of Summerville. The ordinance to protect the trees was tightened up through the years and is said to be the oldest tree ordinance in South Carolina. 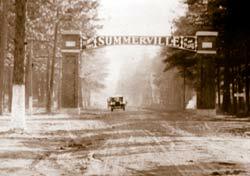 Those early efforts at preservation have earned Summerville the title of Tree City USA from the USDA Forest Service. The War Between the States slowed growth in Summerville, but fortunately the area was less physically damaged than other towns, causing summer vacationers to move in permanently, rather than return to their damaged plantations. In the late 1880s, a congress of physicians met in Paris and touted Summerville as one of the most healthful places in the world for patients with lung disease. The supposed therapeutic value of the pines and the mild climate were once again driving up the popularity of Summerville. A typical 19th century advertisement would read: "Charlestons Suburban Resort Among the Pines. Summerville, South Carolina  The Unsurpassed Health Resort and Winter Home, The Greatest Sanitarium in the World." Recovering patients, traveling doctors, and vacationers flocked to Summerville, for it had become the worlds most popular health retreat. Inns and hotels with fanciful names like The Wisteria, Carolina, Halcyon, White Gables and Squirrel sprouted up to accommodate the renewed influx of visitors. Today, Summerville is home to the Five Star Woodlands Inn and Resort. Summerville was in its heyday, with the rich and famous coming from far and wide to enjoy the music, theatereverything the village had to offer. In 1886, an earthquake rocked homes from their foundations, and seven years later a severe hurricane robbed Summerville of more than 1,000 pine trees. Though real estate sales were steady, the Great Depression brought the Golden Age to a close. 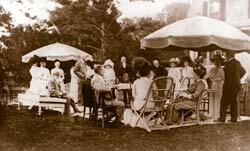 It was the foresight of Mayor Grange Cuthbert that resulted in the creation of the now-famous Azalea Park. He proposed that the land bordering the Summerville drainage canals be used for a park, put together grants to fund the project, and created jobs for unemployed residents constructing it. The town survived yet another hurricane, and later, a damaging ice storm, and by the 1970s, its economy had rebounded. A reconstructed Azalea Park was unveiled as the towns Bicentennial Celebration Project, and today, is the centerpiece of the Flowertown Festival. Summervilles first town hall stood at the head of Hutchinson Park from 1893 to 1963. The venerable old building served the town well, with offices for the draft board, stamp rationing, and a Natural History Museum all under one roof. 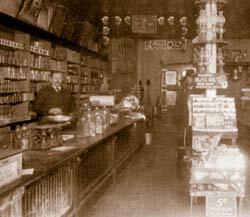 The top floor was used as a dance hall and theater where bands and local dramatic productions were often held. The current building was opened in 1965, and is the third building to house the municipal government. The bell tower atop the building has a history all its own. During the war, silhouettes of enemy planes were posted in the tower and town youths took turns trying to site unknown aircraft. Some were actually reported to the air base. The young ladies of the time used the bell tower as a look out of sorts, too. They would climb to the top and look over the hundreds of military men who frequently visited. From this vantage point, a "belle" could toss a note folded around a pebble containing her name and the date of the local American Legion dance. Hopefully, the missive would find its mark, and the young man would seek her out at the next dance. Many a romance was sparked from that bell tower. Summerville is a celebration of heritage and natural beauty. Quintessentially Southern and quaint, its residents, like those who came before them, appreciate those values in a town, and live by the motto, "The Pine is Sacred."